Troy USA Sports Standard Olympic Weight Plates Black - 500 LB Set by USA Sports at Strongman Pictures. Hurry! Limited time offer. Offer valid only while supplies last. Includes: (1) Olympic 7' Chrome Bar, (6) 45 lb. Plates, (2) 35 lb. Plates, (2) 25 lb. Plates, (4) 10 lb. 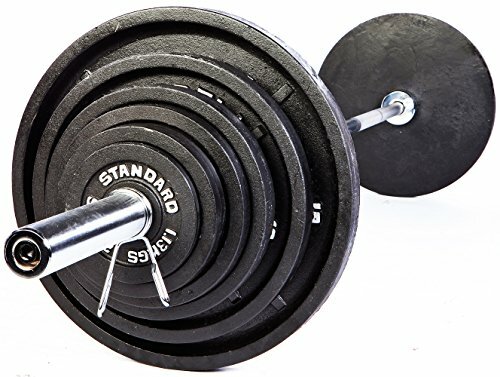 Plates, (4) 5 lb. Plates, (2) 2-1/2 lb.